Hi, it's been quite chilly and wet here this last week, so a good time to get more crafting done. Here's my card for this week's challenge for Lot's of Dots. 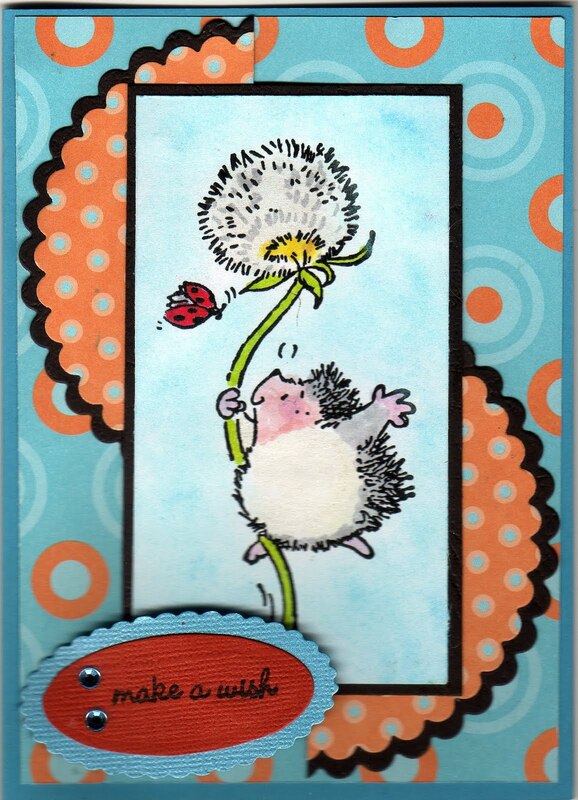 This is a sketch from Splitcoast Stamper's age's ago I print them out with the sketch and a card sample to inspire me sometimes. This is with Penny Black Frequent Flyer, by the way I found my missing stamp in the linen cupboard of all places. I definitely must be losing the plot! I love this image Cynthia, great card! I was in Auckland a few weeks ago! Amazing place, I loved it! Oh what a sweetheart of a card Cynthia.